Years & Years have claimed the number one spot on the UK Official Singles Chart with their electro-dance track ‘King’. The three-piece, who won the BBC Sound Of 2015 poll earlier this year, achieved combined chart sales of 101,000 to take the top spot in this week’s chart. The group have knocked Ellie Goulding’s ‘Love Me Like You Do’into second place, after the Fifty Shades Of Grey track topped the chart for four weeks. However the song remained the most-streamed track of the week, with 2.15 million streams. 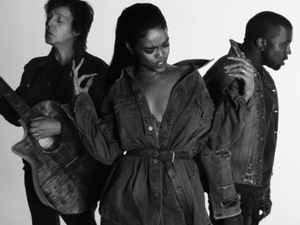 Rihanna, Kanye West and Paul McCartney’s ‘FourFiveSeconds’ climbs two places to reach a new high of number three, while Hozier falls two places with ‘Take Me To Church’. The top five is completed by The Weeknd, whose Fifty Shades Of Grey track ‘Earned It’ falls one place from last week. The second-highest new entry of the week comes from Marlon Roudette, whose UK breakthrough track ‘When The Beat Drops Out’ has already topped the charts across Europe and has now hit number 7 in the UK. 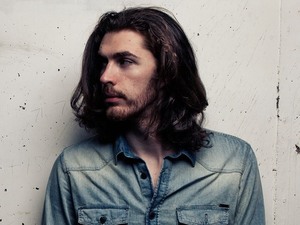 British producer Alex Adair, who has previously remixed tracks by Ella Henderson, Ed Sheeran and Jessie Ware, enters the chart at number 13 with his song ‘Make Me Feel Better’. Kanye West enters at number 18 with ‘All Day’ following his performance of the song at last week’s BRIT Awards, while Taylor Swift , who also performed, climbs six places to number 22 with ‘Style’. Meanwhile Imagine Dragons jump from number 60 to 33 with ‘Demons’ after it was performed on the battle rounds of The Voice UK last week.